Coco Ballantyne is a New York–based journalist and science writer with a special interest in psychology. Before collaborating with Misty Hull and Deborah Licht on Scientific American: Psychology and Scientific American: Presenting Psychology, Coco worked as a reporter for Scientific American online, covering the health, medicine, and neuroscience beats. 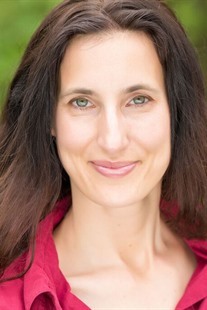 She has also written for Discover magazine and Nature Medicine. Coco earned an MS from the Columbia University School of Journalism, where she received a Horgan Prize for Excellence in Critical Science Writing. Prior to her journalistic career, Coco worked as a teacher and tutor, helping high school and college students prepare for standardized tests such as the SAT, GRE, and MCAT. She also worked as a physics and math teacher at Eastside College Preparatory School in East Palo Alto, California, and as a Human Biology course associate at Stanford University, where she earned a BA in human biology.